Reefer madness: Who's first to higher revenues? Can Illinois come from behind to beat Michigan to gains from recreational marijuana? Don’t Bogart that suddenly legal joint, Michigan, pass it over to Illinois. Michigan voters elected to legalize recreational marijuana last month, with 56 percent in favor. But although that law takes effect Thursday, the Chicago Tribune reported that Illinois could yet come from behind to be the first Midwest state to benefit from what figures to be a lucrative cash crop. Technically, recreational cannabis is now legal in Michigan, but as the Trib reported no businesses are yet licensed to sell it. So for now its public use is limited to places like a Detroit yoga studio that permits medical-marijuana users to share it with others. 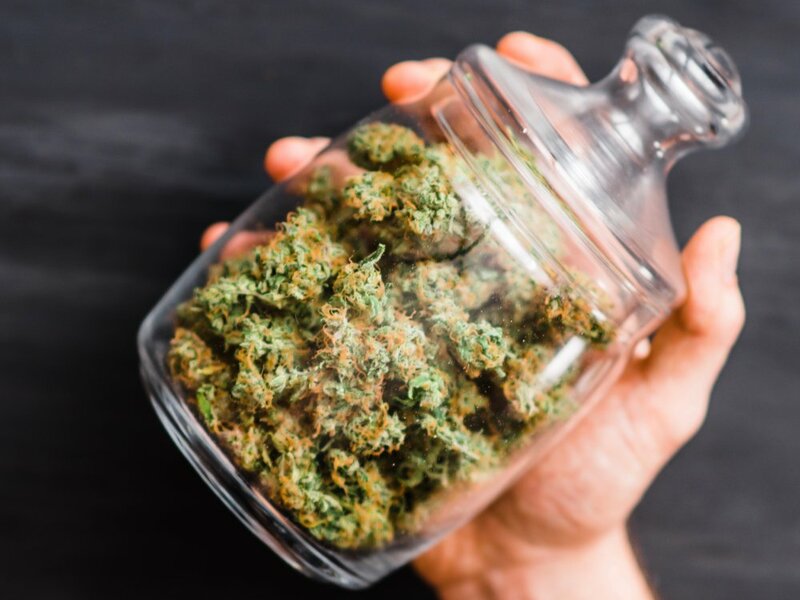 The question is whether Illinois can come from behind with well-thought-out legislation for recreational pot that streamlines legalization while Michigan is still dealing with red tape. Gov.-elect J.B. Pritzker made legalization a prominent issue in his campaign and said it could play a key role in a major capital spending bill to address infrastructure statewide. He estimated in his final debate with Gov. Rauner that recreational pot could raise $700 million. Michigan projected much the same. The Illinois Economic Policy Institute estimated immediately after the election that pot could raise more than $500 million in tax revenue, without even accounting for gains in jobs from cultivation, distribution, and yes tourism, as well as reductions in the cost of law enforcement. As the Trib pointed out, 10 states have legalized recreational marijuana, but most are on the East and West coasts, such as Massachusetts and California. The first of the Midwest states in the so-called Rust Belt to get rolling figures to enjoy a boost in tourism to rival that of Colorado. It’s a key issue for the newly formed Progressive Caucus in the state House, and it has bipartisan support as the legalization movement gains momentum nationwide. It’s get in line to take revenues higher or risk getting left behind. Earlier this week, state Sen. Jason Barickman, a Bloomington Republican, told the McLean County Chamber of Commerce that he believes it’s “inevitable” that recreational marijuana will be legal by 2020. But, as the Bloomington Pantagraph reported, he’d rather see revenues diverted to pay down the state debt and, somewhat counterintuitively, to spend more on law enforcement. Barickman also said he’d push to allow businesses to continue to forbid marijuana use by employees, and to allow local areas to “opt out” of legalization — albeit at the risk of not cashing in on the revenues to be gained. Pulling in the opposite direction, state Rep. Will Guzzardi of Chicago, one of the leaders of the new Progressive Caucus, said he endorsed early efforts by state Rep. Kelly Cassidy of Chicago to make sure poor and minority communities benefit from legalization — for good reasons. “There’s obviously a big criminal-justice component to that movement, but there’s also a big economic-development component,” Guzzardi told One Illinois in an “In the Milkweeds” podcast recorded just ahead of last month’s election. “This is an illicit black-market economy we want to bring into the daylight and create jobs and tax revenue and grow the state economy and tourism,” he said, adding that Cassidy and other House leaders on the issue “have been very deliberate in ways I’ve been very impressed with in crafting the legislation to provide specific economic opportunities and incentives for communities that have been the victims of overpolicing in the criminalization of cannabis. “So those very communities that have suffered the most negative consequences from this bad policy are going to be the first in line to see economic development and investment in the cannabis industry,” Guzzardi added. “I think what we’ve seen in other states is that this industry that, for better or worse, was putting money in the pockets of poor people of color is suddenly cannibalized by those sorts of billion-dollar (businesses) — ‘big green,’ they call it. It’s a tricky situation, in that Guzzardi also acknowledged that the firms that got a leg up on the movement, with medical-marijuana cultivation sites and dispensaries, figure to be the ones to lead the way in recreational pot. The good news there, he quickly added, was that the General Assembly had made sure to spread those sites across the state, so the framework is already in place to share the economic benefits of recreational pot equally from Chicago to East St. Louis and Charleston to the Quad Cities. The question is whether the General Assembly can cut through its own lasting gridlock and dysfunction to catch up with Michigan while it’s processing its own red tape on the matter. It’s a complex issue, obviously, but time is of the essence. “I’m optimistic,” Guzzardi said, “that we’re going to be deliberate and smart about that in ways that are going to help those communities” that need help most.